My next Bible study is on the book of 2 Timothy entitled, Run Well, Finish Strong. The book of 2 Timothy is Paul's final book before he was martyred for the faith. Paul ran his race, finished his course, and kept the faith. In this letter, he was essentially passing the baton to his true child in the faith, Timothy. 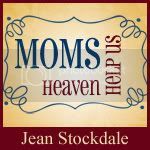 His poignant words to run well the race God has given him are deeply meaningful to Christan moms who desire to see their children come to faith and walk with the Lord. This study is designed to give moms practical ways to hand down a living faith in the Lord Jesus Christ to their children. Sanctified humor and healthy doses of practical illustrations are incorporated with Biblical truth in this study. Any mom who desires to pass her faith along to the next generation would benefit from this study! The study begin at Bellevue Baptist Church in the Memphis area on Jan. 14th. Click here for more details. The on-line study begins on Jan. 21st. You can view the 45 minute DVD, download the lecture note, and interact with other moms online. The workbook costs $15.00 plus shipping and handling. Click here to order the book (which is not required to do the online study but will greatly enhance your understanding.) Details for the online study will be forthcoming but I encourage you to purchase your workbook asap. Interested in beginning a MOMS ministry in your home or church? My study is designed to be done by an individual, in a small accountability group or in a church setting with the accompanying DVDs. Book (218 pages) $15.00 plus shipping and handling. Contact our Standing Near the Cross ministry office at 877-409-5564 for information or click here www.jeanstockdale.com. Join us for a 10-week Bible studyon 2 Timothy called "Run Well. 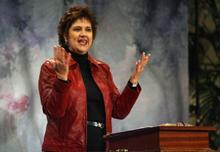 Finish Strong" at Bellevue Baptist Church, Memphis, TN beginning January 14 at 9:30 a.m. Details here. Can't make it to Bellevue, then join us online for "Run Well. Finish Strong." The online Bible study begins Jan. 21. You will be able to view the 45 minute DVD, download a podcast, and download the lecture notes at no cost. If you chose to order the accompanying workbook, the cost is $15.00 plus shipping and handling. Click here for more information. Now that we have tackled the tinsel and packed away the ornaments, it is time to get back to work and get back to the Word! Study God's Word with us. On Jan. 21 we will launch a 10-week on-line Bible study on 2 Timothy called "Run Well. Finish Strong." We will learn how to hand down a living faith to the next generation. You will be able to watch a 45 minute video/or download a podcast of the message, download lecture notes, and interact with other MOMS from all over the USA and hopefully the world. The messages are practical, humorous, pertinent, and Biblically based. You will be blessed, encouraged, and inspired! It is not required but you will want to order the 200-page workbook from www.jeanstockdale.com. for $15.00 plus shipping and handling. More details will be posted on this site. 1. First Baptist Collierville-September 9th at 9:30 to Kick Off their MOMS group. They are studying Jean's 10-week Bible study on Phillippians entitled "Joy in the Journey." For more information about MOMS in Collierville call the church at 901.853. 2. Hunter Street Baptist Chruch-2600 John Hawkins Pkwy, Hoover, AL. 35244 on September 15, 2009 for Girl's Night Out. Call the church office at 205.985.5300 for more information. If you live anywhere in the Birmingham area, please make plans to join us. 3. Bellevue Baptist Church-September 17th at 9:30 begins 10-week series for MOMS on the book of Ephesians called "High Stepping in Heavenly Places." Call Bellevue at for more information or check out the Women's Ministry Website at www.bellevue.org. 4. Family Life Bible Church in Conway, Ar. 72304-September 25-26 for a Women's Retreat at Ozark Conference Center. Call church office at 501.681.7971 for more details. When I began blogging, I never dreamed I would take a break from this addictive but satisfying activity. However, life happened and I simply miscalculated the effect it would have on my . . . well, my life! I have been writing my 7th Bible study for MOMS. Since Sept. 2006 I have written 7 Bible studies and published them. We currently have our studies in 24 churches and 3 countries outside the USA via DVDs and my books. I never saw THAT coming! Each book is about 200 pages. The studies are written as 8 week interactive studies which contain 45 individual lessons with homework . . . just in case you think I am talking about writing brochures!! Seriously. Seriously!! Folks I am talking about a word bank of gynormous proportions. I began writing the latest study on the Book of Ephesians. This happens to be my favorite book in the Bible. It is the book I was studying when I knew God had spoken to me for the first time through His Word. This study has been a personal love gift to me from the Lord. In order to write this study (or any of the others for that matter) I had to become sequestered unto the Lord. When I am on deadline, Is start writing 8-10 hours a day and often 7 days a week. I hardly leave the house. I don't answer the phone. I eat at my computer. I do not clean house or cook meals. I barely do enough laundry to keep Craig and I in clean clothes. Craig pitches in and takes up the slack-God bless him!! May his tribe increase! Joseph, my Siamese cat, sits with me in my little quirky attic office and I write. I write and I write and I write. Words fly. Obviously, blogs do not. I just hate I was not able to balance life better but that is not one of my strengths. I am grateful my buddy, Ray, has posted several blog post of late. Thanks, Ray. Here is the big news. I finished the manuscript on the book of Ephesians last night. The title is not completely firmed up so I will share it when I am locked in on it. I am close but not ready to tell it. Many of you know that the first title I was using, had been used for a book!! I must have seen it at some point and filed it away as a great title. Having to switch gears once you get something in your head is not easy!! I still have a lot of proofing and rewrites to do, but the bulk of the work is done for now. The completed manuscript is due at the publisher by the 27th of May, so the end is in sight. I hope this will allow me to get back to chatting with you via the blog and sharing in your faith walk. I have some great pictures of the Baby Grands to post and some funny stories to share. I have some glorious truth I have gleaned from my many weeks sitting in heavenly places with the Lord Jesus Christ. He has stunned me with His faithfulness and His presence has been almost suffocating at times! He has taken my breath away as He has revealed the fresh relevance of His Word. Some days I would barely stand to leave my office-I feared I would never be in His presence like that again. I wish I could explain it to you in more articulate terms but I can testify of the power, the presence, and the perfume of the Lord Jesus Christ. His presence has been so rich and I will never be the same for this experience. Now, back to the blog. In the next few days I will begin to catch back up with so many of you darling sisters in the Lord. I feel terrible for neglecting you and am anxious to hear from you and catch back up. So please forgive my "unexplained absence". Now the crazy part is that I am thinking seriously about writing another study starting up in July. I have been writing 2 or 3 Bible studies a year. I am sure I cannot keep up this pace for much longer but am not ready to start re-teaching the studies I have published. So for now, I am waiting to hear from the Lord on the direction of this ministry and I am trusting He will show up again and again. I stand amazed in the presence of the Lord Jesus Christ. Our family is good. The grands are darling. Grayson visited with JJ and Poppa today and Declan was by for a visit this evening. We are over the moon for these guys! I have just been to Orlando to teach 2 weekends ago and then to Pickwick to do a women's retreat last weekend. I had a LARGE TIME at both events and met wonderful women who love the Lord and rejoiced to share the Word. I am of all women blessed. Blessings, sweet girlie girls! I am BACK.